This is Part 4 of a 4-part series – you can also view previews of Altra, Newton, and New Balance summer 2014 releases. Since these shoes have yet to be released, I have not run in any of them. If you have, I’d love to hear your thoughts in the comments! I’ve only run in Hokas once. I have a pair of the original Mafate, and they are huge and cumbersome. I didn’t dislike running in them, but they are simply too much shoe for me. I’ve been wanting to try one of the lighter Hoka models for awhile. I tried the Bondi 3 and Conquest on at my local running store a few weeks ago with the intent of buying one to review, but neither fit quite right. 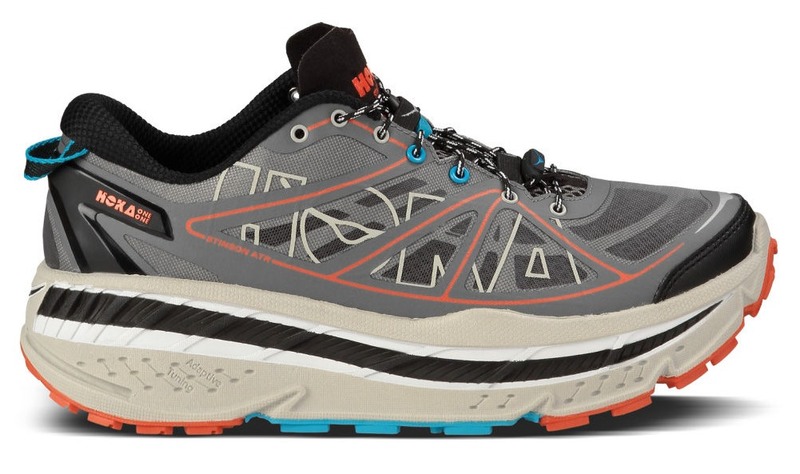 Hoka has a several new models coming out in the next month or so, and I’m hoping one of the new lower-profile models will be a good match (Huaka or Clifton – see below). The Hoka Huaka might be the Hoka that I finally put some miles on. 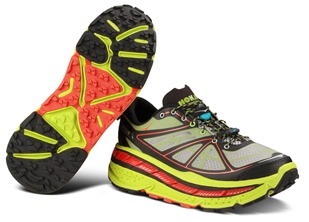 It’s a 2mm drop road/trail hybrid shoe that weighs in at only 8.9oz (quite low for a Hoka shoe!). Word from a member of the Shoe Geeks group on Facebook (thanks Eric!) is that the Huaka stack is 27mm heel, 25mm forefoot. Eric owns The Balance Athlete in Renton, WA and they have the Huaka (and Clifton – see below) in stock now – pretty sure they will ship orders if you call them and are anxious to try the shoe. 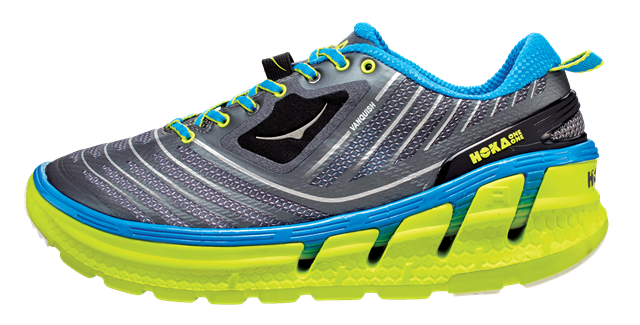 Running Warehouse now has the Huakain-stock for MSRP $150, and they are also now available on the Hoka website. In addition to the Huaka, Hoka is also adding the even lighter Hoka Clifton to their lineup. The Clifton is a 7.9oz road shoe, with a stack of 29mm heel, 25mm forefoot. 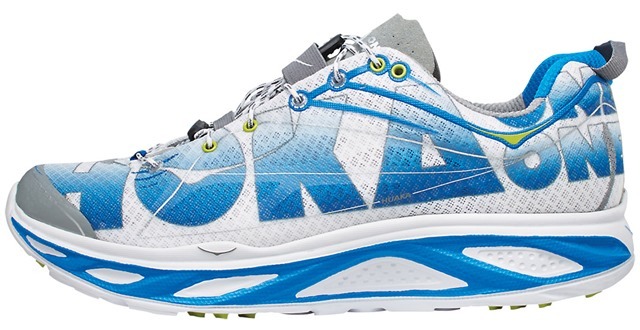 The Hoka Clifton is now available at Running Warehouse and on the Hoka website. The Stinson ATR is the update to the Stinson Trail. It’s is a 6mm drop shoe with stacks of 30mm heel and 24mm forefoot (2mm less than the Stinson Trail in both regions), and It weighs in at 11.7 oz. Hoka continues to improve the aesthetic on their shoes – I recommend them to clinic clients from time to time and the pair of Mafates I have in my office is typically a big turn-off. “It looks like a Frankenstein boot!” is a typical response when I pull them out. The Stinson ATR is actually a pretty nice looking shoe (though the giant sole will still be a turn-off to some). 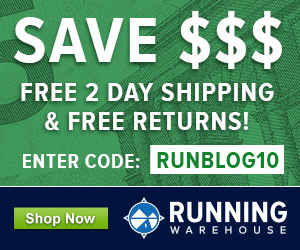 MSRP is $160 and they are now in-stock at Running Warehouse. 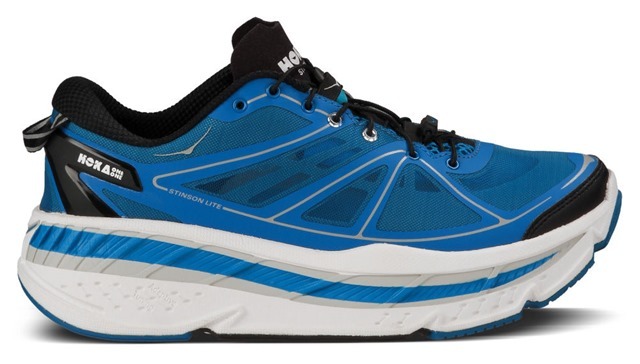 The Hoka Stinson Lite is the update to the Stinson Tarmac. Specs are the same: 6mm drop, 32mm heel/26mm forefoot stack, and weight is 11oz (just a bit lighter than the ATR, probably due to less outsole material). Interesting to see the word Lite associated with a shoe that weighs 11oz! This was the final post in my 2014 summer shoe preview series. If you arrived here directly, you can also check out the Altra, Newton, and New Balance preview posts. No problem George! Debating whether to take the plunge on a pair myself. If you’d like to share your thoughts here let me know! If you have them by now, how is the fit? And if you have experience with other Hoka shoes, how is the fit compared to those? Don’t have them yet, but my friend Sam just posted this: link to samwinebaum.blogspot.com. You might ask his sizing thoughts in a comment. Pete-me again! I also tried Hokas and was very disappointed because they rubbed on outside edge of my ankle bone till it was almost bruised after a mere 3 miles. I have written to them numerous times asking about an update to the heel cup depth since after reading lots of online reviews I am not the only person to have this issue. Maybe you have some pull! I love the feel of the shoe and my run felt great other than he pain in my ankle (mostly the right one). Yes, I have heard of this happening, and I know people who have taken a razor to that area to trim it down. Which model did you have trouble with? You might be able to exchange it for another. I tried the Bondi 2 and the Stinson. Both road models. Thinking of giving the Lites a try. Thanks for your input! Having tried all of the HOKAs, no exception, I’m really hoping the Clifton and Huaka get wider toe boxes… that’s one thing, and get more flexible that’s the other thing. Oh and between Clifton and Huaka I would say if you are light the Clifton might be a better option –> I have the Conquest with RMAT and being 130lbs it is as stiff as a wall, no cushioning and no flexibility + it is super narrow… me NOT like 😉 . Huaka will use RMAT, Clifton won’t (EVA), I know if I’m going to try one it will be the softer of the two and that should be the Clifton (+ it is lighter in the process). Looking forward to hearing your thoughts if you try before I do 😉 ! Yeah, tried the Conquest on and was not at all impressed by the fit. Kind of bullet shaped. Bondi 3 was a bit better but still not to my liking. I really hope miximalism dies out. I can see the Hoka’s being useful as a shoe for recovery runs or even for use towards the end of a long race, but now a lot of manufacturers are moving away from minimalism towards this. Maximalism requires less muscle work and in my opinion promotes weaker muscles, and maybe even injury over the long haul. I will spend my money on companies that make a smart range of products and support runners who want a variety of choices. Light, minimal shoes will hopefully always be a part of my street and trail mix. I meant to say maximalism, not miximalism. Though I suppose the latter could be a trend too. I think there is a place for the full range of footwear. I know plenty of people who benefit from Hoka-style shoes. I see benefit in the Ultra community and in clients who have forefoot pain for example. I also think there may be an argument for trying Hokas for some knee issues as well if a person doesn’t want to try minimal. The Clifton is now on the RunningWarehouse site for August delivery. 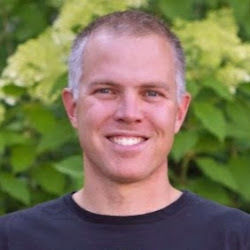 The Hoka rep who frequents Slowtwitch.com says if you are a Bondi person, the Clifton is the one you’ll probably like. If you’re a Conquest person, you’ll probably prefer the Huaka. I’m looking forward to the Clifton. I hope the fit is better than their recent models though. I have been using a pair of heavy Stinsons once per week to try to give my feet a rest — (I have been fighting chronic capsulitis/ predislocation syndrome/ metatarsalgia for a couple of years and was out completely for five full months last year). By nature, I hate the feel of the Hokas, but it seems very clear to me that they do reduce forefoot pressure and that is something I am all for these days. I have also discovered that even on my short twelve mile runs I can just sort of keep on rolling along in them without wearing down, so I feel like I can “sense” why some ultra runners would like them for the long runs. 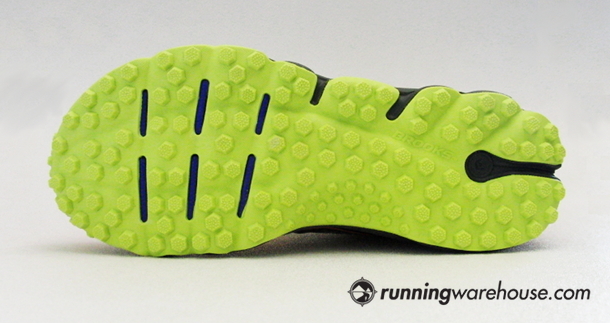 Couple of questions – I think the stiff outsole and rocker effect are helping me more than than the cushioning. Do all the new models preserve the strong rocker effect? Are there any other (lighter!) trail shoes that have the same kind of forefoot rocker as the Hokas? (NOTE: I mean rocker, NOT toe-spring as I consider that to be something completely different). Do the Huakas have the same fit as the current Stinsons, or is it hopefully wider in the forefoot? I can’t comment on Hokas much myself since I only have an older pair of Mafates, but I will say that our observations in the clinic support yours regarding the benefit of Hokas for some types of forefoot pain. They helped my wife a lot with her neuroma, and have had other clients benefit as well. There is also some evidence that rocker soled shoes offload the forefoot a bit, so some evidence to back this up, but none specifically on Hokas that I am aware of. My wife was in the Bondi which is a bit less shoe than the Stinson I think. The SKechers GoUltra could be worth a try. And for lower profile shoes with a rocker sole you could check out Scott, Karhu, or the Pearl Izumi E-Motion line. Those won’t be as soft as the Hokas, but do retain a rocker-style sole so if you perceive that to be the benefit they may work. Tough to say for sure. 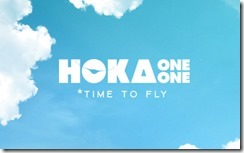 Why does Hoka not respond–with at least one model–to all the requests for a wider toe box? Wonder if the fact that the sole is already quite wide and thick has something to do with it. Widen the toebox too much and you just have a massive sole to stick underneath. I have a pair of the Huakas and love them. Never have I experienced so much cushion in such a light shoe. 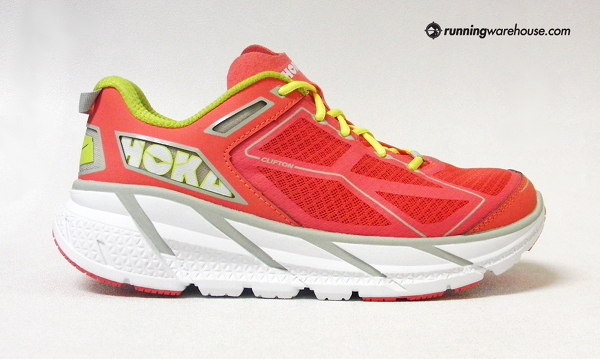 They fit better than other Hokas, are more comfortable and are quite quick and responsive. I mostly run trails and they perform awesome, though the mostly foam outsole wears quickly, especially on rocky terrain. I used them in the Bolder Boulder 10k and plan to use them for the PIkes Peak Marathon, so talk about range. The Huaka does run big, as I wear 10 in many of the other Hokas models (Stinson Trail, Bondi, Mafate, Conquest, Rapa Nui 2), but my test pair is a 9 and they very surprisingly fit quite well. Given the choice, I might go with a 9.5, but that is a maybe even. I’ve used the Stinson Tarmac and Stinson Trail for two years – love them. Just got the “updated” Stinson Lite and Stinson ATR. Have not run them yet – but it is immediately clear the toe box on the new versions are significantly narrower. I will most likely send them back – Really Bummed- I should have stocked up last year…. The new Clifton feels wider that either of the new Stinsons – width in between the old and new Stinsons- so I will keep that one – at least faster short races/runs when the mashed together mono toe syndrome is not a big deal.